“I have found being a member of Dental Professionals Limited an essential part of running a couple of busy mixed practices. As well as benefiting from the corporate deals that are available to us from many major supply houses, it is a great way to network. You can access scores of dental colleagues at a click of a button and I have found this to be most useful! The courses that have been run are well organised and inexpensive. Dental Professionals Limited have set the benchmark of how individual practice owners can work within this ever growing multi-corporate environment and still have a voice. I would personally like to thank the team at Dental Professionals Limited for inviting me to be part of this ever expanding family. As a single handed small, practice my use of materials is minimal and I have no power to negotiate with suppliers. Being part of Dental Professionals Limited has enabled me to benefit from reduced prices and rebates from my suppliers based on the buying power of the group as a whole… and all negotiating is done for me! The benefits of being a member of Dental Professionals Limited are great. Since joining, the costs of running my dental practice have actually decreased in areas. The links Dental Professionals Limited have forged with equipment and material suppliers, as well as service providers, means that we are getting some of the best rates out there. It is reassuring to know that on a daily basis we have a team at Dental Professionals Limited looking out for our needs. I joined Dental Professionals Limited 3 years ago and have not looked back! The advantages of membership have been tremendous. 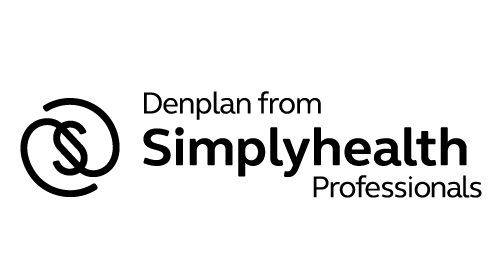 Dental Professionals Limited has not only negotiated incredible savings for members on; clinical waste management, materials and sundries, practice insurance, and DenPlan membership, which has been a great boon to our business finances. They also continually seek to help members advance their CPD by organising courses that range from core subjects to hands-on days from eminent speakers on subjects ranging from Endodontics and composite restorations to record keeping and ethics. Compared to other organisations/corporate buying groups, there is no annual/joining fee! And the fees charged for the courses they organise are unmatched by any other. The Dental Professionals Limited have negotiated great rebates for members from the companies they deal with and are ethically motivated by helping charitable organisations. I recommend joining the Dental Professionals Limited to all my colleagues and peers and they have not been disappointed.